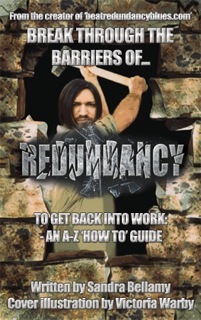 Your redundancy is a minor setback on the path to fulfilling your dreams. It is a bump in the road. Treat the path ahead of you, as a wonderful new adventure. Look up to the stars. Let life radiate its beauty and surround you with love, joy and happiness. Begin afresh, embrace the new, life is about living and looking forward too. Realise that you have the power to create an amazing future for yourself. Listen to your heart’s desires, needs and wants. Nourish the creativity of your brain. Empower yourself to always feel great about you. See the good in yourself and banish the bad from your life. Be around positive people, places and things that make you happy. Enjoy every minute of time. You are no longer left behind, you are in charge and leading the way ahead. Live life to the fullest and be true to who you are. Be the greatest you, that there can be. No one is better at being you, than yourself. Next postWhy Is Goal Setting Like Getting Married?